#TribeofHackers is a collection of industry, career, and personal insights from 70 cybersecurity luminaries. Marcus Carey, CEO of Cybersecurity startup Threatcare, delivered a project that was inclusive of many different voices in this industry. In fact, he sought contributions from over 40% women and people of color. I am honored to be in that number. All proceeds from the book will go towards Bunker Labs, Sickle Cell Disease Association of America, Rainforest Partnership, and Start-Up! Kid’s Club. Click here for more info about the project. I’ll publish a review when time permits. 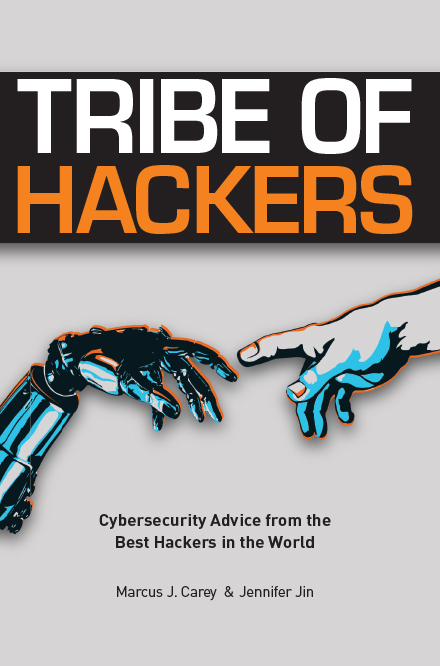 You can purchase a copy (or 10) of Tribe of Hackers on Amazon January 28th! Keirsten Brager is a Lead Security Engineer at a Fortune 500 power utility company and was recently named one of Dark Reading’s top women in security quietly changing the game. She is also the author Secure The InfoSec Bag: Six Figure Career Guide for Women in Security. She produced this digital book to help women strategically plan their careers, diversify their incomes, and fire bad bosses. Keirsten holds a M.S. in Cybersecurity and several industry certifications, including Splunk, CISSP and CASP. As an active member of the Houston security community, Mrs. Brager has participated in a number of panels and public speaking engagements promoting strategies for success. In her free time, she loves sharing career advice, cooking New Orleans food and convincing women not to quit the industry.